My brother's favorite holiday when we growing up was, like many children--Christmas. He used to love going to visit Santa. 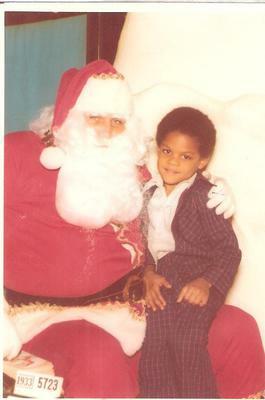 Here he is on the big man's lap at age 4. If I remember correctly, that Christmas his prized present was a 'Six Million Dollar Man' action figure, lol:) Google it if you don't remember that show. Great memories! Join in and write your own page! It's easy to do. How? Simply click here to return to Your Family Forum Story.